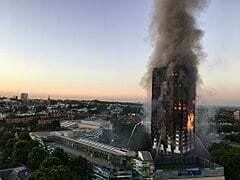 Those responsible for knowingly turning an essentially fire-safe building into a lethal gas chamber and fire-trap, have no doubt long since liquidated their assets in Britain and moved abroad. 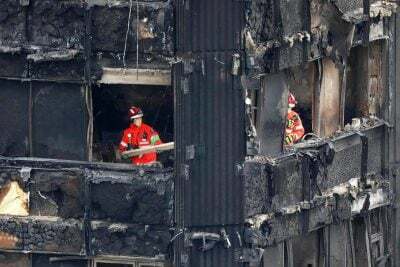 What kind of country has a judicial system that allows professionals to blanket a residential high-rise block in a fire-accelerant cladding that was well known to release lethal hydrogen cyanide (Zyklon B gas) when ignited and that would burn alive anyone surviving the deadly fumes? And for those responsible to take their profits and then to evade justice? 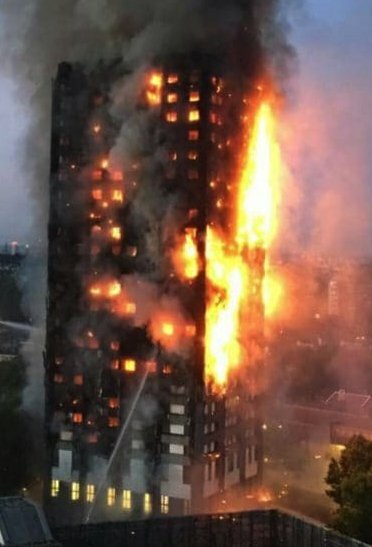 Grenfell Tower is a crime scene in which 71 people were either asphyxiated or burned alive as a result of gross criminal negligence. After over a year, why has no person been prosecuted, to date? Where are those Councillors, landlords, building owners, architects, surveyors, building inspectors, fire inspectors, building contractors, cladding suppliers and insulation manufacturers? They have all made a mockery of the British justice system. We are a country ruled by get-rich-quick professionals, local politicians and businessmen who are allowed to act as they please without any fear of retribution whatsoever. Even, apparently, in cases of multiple manslaughter. Sadly, we really do appear to have transmogrified into a banana Republic with a corrupt elite, an impotent police force and a compliant judiciary. How sad!